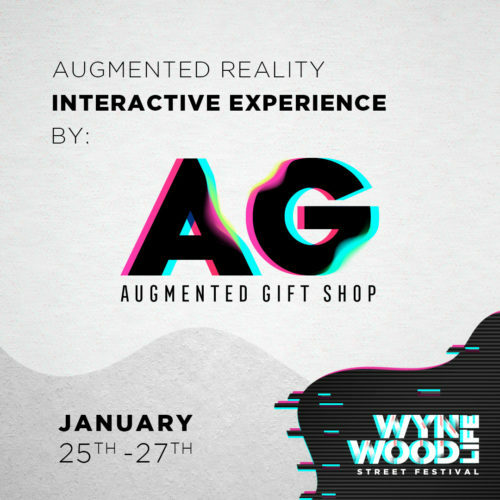 Celebrate Everything Wynwood in One Weekend as you walk through the 22nd Lane Art Gallery! 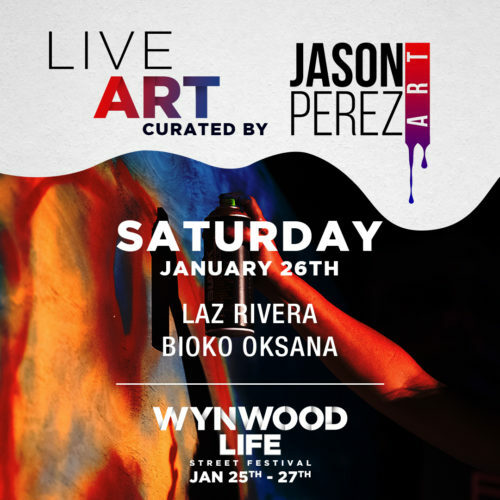 Witness various sculpture pieces and art created by the various talents of local artists presented by Jason Perez! 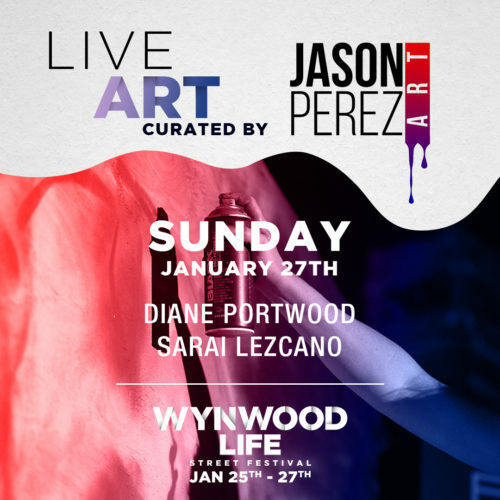 Wynwood Life will keep the art vibes alive with an immersive experience. Come and witness this Giant String Installation by Crystal Gomez and immerse yourself in the Wynwood Life Art experience. Supercar Rooms Miami will be building out their very own extravagant yet chill activation space inside of Wynwood Life, displaying Elo’s exquisite cars, with customizations second to none, transforming classic vehicles into 21st- century statements; coveted and created for clients local and worldwide. Supercar Rooms will also include a Dj party to encompass the smooth vibe. 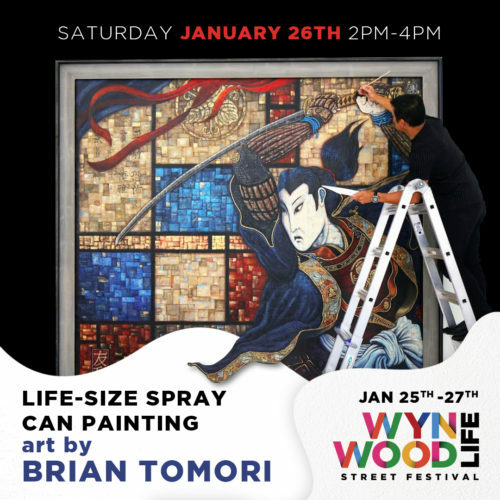 The art of war is a mural battle between 2 incredible teams to determine the best muralist team in wynwood. This is a yearly competition curated by Creative Glue to highlight the best artist in Miami. Each team is comprised of 3 members all with different artistic styles merge into one team to create a custom 12x8ft Mural. Each will have 2 hours to complete their masterpiece and for the world to see. The crowd, not judges, will decide the winner and a champion will be crowned. Enjoy sounds by DJ Uzo, Revolution Radio and a Muscle Car show activation as the teams battle for the ART OF WAR. 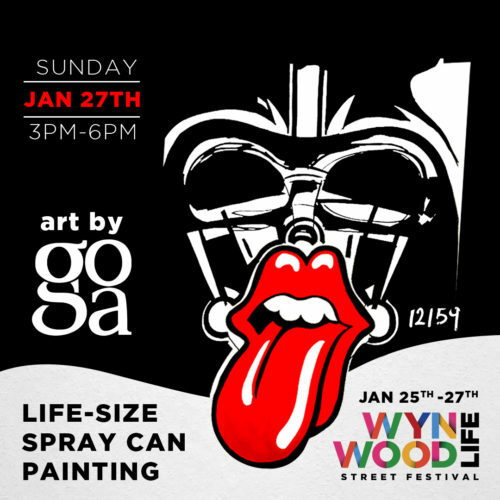 Stop by the Body & Glam Art tent at Wynwood Life and get touched up Wynwood style! Witness the art of Movement presented by the Republic of Movement and learn how to engage in the visual arts.